Tank Touring 250cc DE Scooter Parts. 250cc scooter parts. 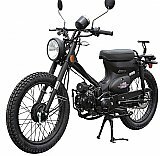 Parts for tank, roketa capri, baron retro, lance vintage, sunl and many other CF Moto 250cc water cooled Chinese scooters are available at reduced prices. Tank Touring Scooter DE 250cc Scooter Parts. Orlando 250cc Scooter Parts on sale.